You are here: Home › Fashion › MIRACLESUIT Review & Giveaway! So excited to finally share my review of 2 Miraclesuits with you guys! I was able to visit the beach on 2 separate occasions to test out if Miraclesuit’s claim of looking 10lbs lighter in 10 seconds is true? Check out my video to see my thoughts and enter my giveaway below for a chance to win your own just in time for summer! 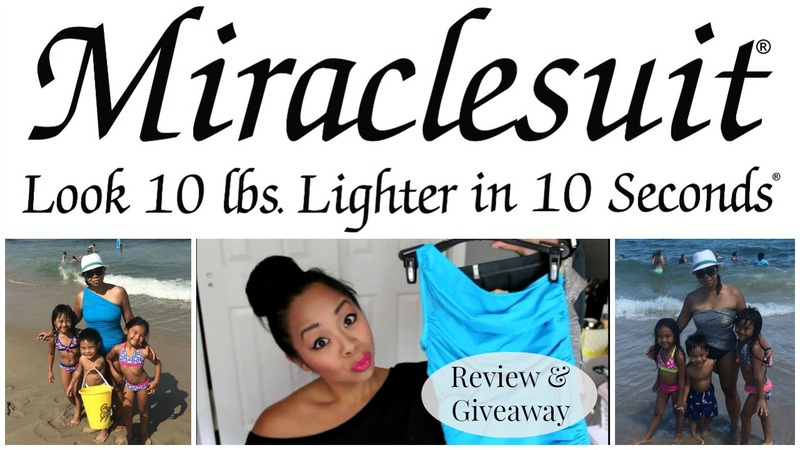 27 Responses to "MIRACLESUIT Review & Giveaway!" I would love to win the Must Haves Barcelona! id love to win one!! Sokan’s husband. My wife wants this. Hope she wins. Then I wont have to hear her complain. I would love to win Solid Mojito! looks awesome. cant wait to check out the site. I am really loving the Precious Metal swimsuit!! It looks so pretty! Would love the Solid Leah…so cute! Being a young mother it’s hard to have the self confidence I had before having a baby. Now I find it hard to wear something that hides my mommy pouch. Winning a miracle suit would be amazing and I would probably have the confidence to take my son to the beach. I would love the Must Haves Aurora! I would love to win the Ticking Time Helix in aqua, love it! I would LOVE the Solid Leah in navy!! The Blue Net Work Jena Swimsuit is my favorite. Thanks for the opportunity. I would love the Net Work Mystify swimsuit!! I am a mother of 2 and I havent worn a swimsuit for the past 3 years. This would help boost my confidence alot. These bathing suits look amazing. I hope I win. I would love to win precious metals muse.